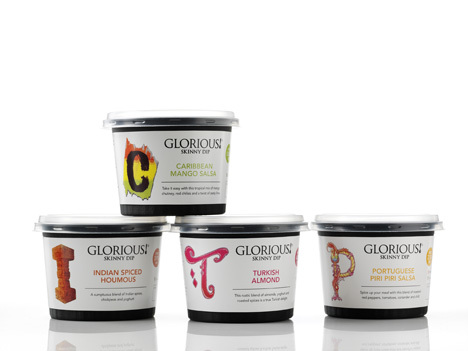 Lambie-Nairn has created branding for a new range of dips from soup and sauce company Glorious. The consultancy created new overall branding for Glorious last year, having been appointed in 2009 following a pitch. The branding for the new range of dips features bespoke lettering for each of the four flavours: Caribbean Mango Salsa, Turkish Almond, Indian Spiced Hummous and Portuguese Piri Piri Salsa. The consultancy’s overall branding for Glorious also uses product labels with individual lettering, which Lambie-Nairn says highlights the ‘A to Z of global flavours’ in the range. 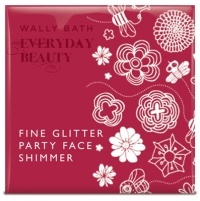 The new range is going on sale in Sainsbury’s stores this week.